Michigan's pristine lakes — the Great and the inland kind — are the frequent stars of television ads that portray Michigan as a recreation lover's paradise, a freshwater coastal destination. 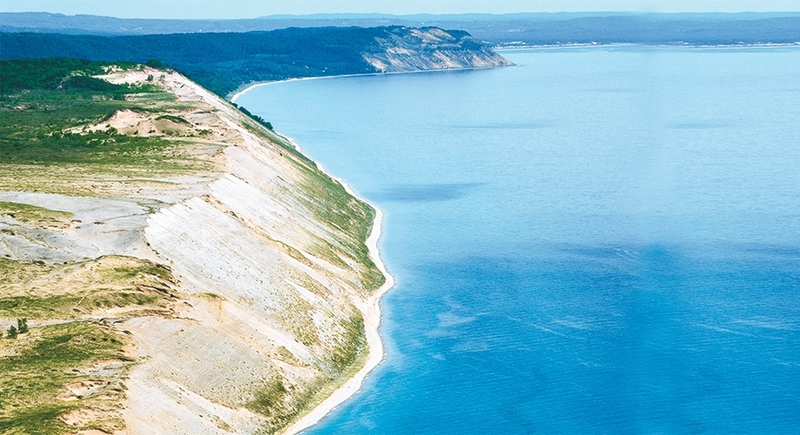 LANSING — The Pure Michigan campaign, in many ways, is about water. The state’s pristine lakes — the Great and the inland kind — are the frequent stars of television ads that portray Michigan as a recreation lover’s paradise, a freshwater coastal destination. Lately, the popular state tourism brand name is being linked, particularly on social media, to water of a different sort — the corrosive Flint River and the lead-tainted drinking water that poisoned the blood of Flint kids in what has become a public health crisis. Bottom line: A company that relies heavily on water won’t think about setting up in Flint right now, said Kate McEnroe, a Grosse Pointe native and president of Kate McEnroe Consulting, a corporate site selection firm with offices in Chicago and Atlanta. The emergency in Flint has, for a time, been a knock against the award-winning brand that has shown up on TV, radio, print ads, billboards and even license plates since it launched in 2006 during Gov. Jennifer Granholm’s administration. Under Gov. Rick Snyder, the state adopted the Pure Michigan slogan for use in its business marketing. So if the brand is tarnished for the long term, it affects corporate recruitment and other efforts. Leisure tourism promoters say the state needs to continue to promote the Pure Michigan brand to stay ahead of other states that are adopting marketing campaigns of their own. They add that state tourism promoters also could better leverage social media to curate followers, or ambassadors, who could spread positive messages about Michigan in their own networks — thus widening their reach. Michigan State University faculty members who author Michigan’s annual tourism forecast say they don’t yet know how the Flint crisis will affect prospective leisure vacationers, though the topic could be addressed during a state tourism conference in April. Steve Yencich, president and CEO of the Michigan Lodging and Tourism Association, said he hasn’t heard any concerns about weakened summer travel from the hotels and resorts he represents. Economic development professionals say any damage done by the Flint crisis won’t be permanent. But in the meantime, they added, the state and its individual regions need to coalesce around a consistent message that Michigan remains open to business and tourists. “It is too early to tell how much impact the Flint water crisis will have on the state’s image. Certainly with our brand being Pure Michigan, it is more of an image problem,” said Doug Rothwell, president and CEO of Business Leaders for Michigan, the state’s business roundtable. Corporate site selectors like McEnroe say they’re increasingly having to offer out-of-state companies more nuance about Michigan when answering questions about Flint, similar to how they explained the state several years ago as Detroit headed closer to, and eventually through, bankruptcy. The Michigan Economic Development Corp., which manages the $33-million Pure Michigan campaign, said the number of potential business deals in its pipeline has been down since the fall, which is when news of the Flint drinking water crisis began to break. But that’s also the same time the MEDC cut its budget by 27 percent and laid off 65 employees due to a drop in tribal gaming revenue, which has contributed to fewer staff members working on company outreach. MEDC spokeswoman Emily Guerrant said deals now are generally smaller, more complicated and take longer to close; the state also has fewer resources available for large incentive packages. Taken together, she said, it’s difficult to pinpoint the Flint crisis as the reason for a drop in business prospects. On the tourism side, Guerrant said it’s too early to have any tangible data to show whether the Flint emergency is keeping some would-be vacationers away. The state won’t receive estimates on the economic impact of this year’s Pure Michigan campaign until next year, for one. But the winter season also suffered from lower-than-typical snowfall levels. Steve Arwood, CEO of the MEDC and director of the new Michigan Department of Talent and Economic Development, said out of all the selling efforts put forth by the MEDC through the years, nothing tops the Pure Michigan campaign. “It’s iconic and award-winning,” he said. “It has done more to market the state than anything we have done after that. It is the one thing that is continuing. Additionally, Arwood pointed to the success of the state with direct business marketing — the result of balanced budgets, improvements to workers’ compensation administration and a flat corporate tax. He said it is not hard to market Michigan as the automotive center of the country because few would question that it is. But newer industries are showing strength in the state as well, such as aerospace, natural resources, agriculture and high-end food products. He pointed to successes such as a Clemens Food Group pork processing facility in Coldwater that is under construction, a $325 million Arauco particleboard manufacturing facility in Grayling Township and the American Center for Mobility at Willow Run. This project plans to transform the former Ford Motor Co. B-24 bomber plant at Willow Run in Ypsilanti Township into the nation’s first autonomous vehicle testing site. But how much money and effort for damage control and positive branding is appropriate and available as the state continues to reel from Flint stories? Funding for the next round of economic development work has been on the table before when lawmakers faced large budget priorities. Last year, legislators in the House proposed diverting money from the MEDC to pay for a $1.2 billion road-funding plan; MEDC administrators warned that could limit the Pure Michigan campaign. That proposal didn’t wind up as part of the final package. This year, Flint and a proposed $720 million debt restructuring of Detroit Public Schools are dominating funding talks, though neither issue is expected to siphon money away from Pure Michigan, said state Rep. Al Pscholka, chairman of the House Appropriations Committee. Snyder’s executive budget proposed leaving Pure Michigan funding flat at $33 million in 2017. Economic development agencies across Michigan say they have not noticed any real loss of business interest because of Flint, though in some cases they are working harder to sell the state to prospective companies. In Kalamazoo, where Ron Kitchens’ team at Southwest Michigan First can talk with as many as 230 site consultants over the course of a year, they now are making roughly three times as many phone calls to companies and site selectors telling them not to discount Michigan in their location search. Deals are in the pipeline, he said, but he doesn’t know how many will close. “We’re about selling the whole state. So when the water crisis broke, when the Detroit Public Schools hit the national news, there was a palpable gasp,” said Kitchens, CEO of the regional economic development organization. Some economic development experts told Crain’s they’re concerned about the implications of using one brand to serve multiple types of marketing, especially in periods of negative attention, because the functions can’t easily be distinguished. Still others have suggested using recognized business leaders in Michigan to strengthen a corporate attraction campaign. Others say cuts to the MEDC, both in terms of dollars and staff, have had an impact. Mark Winter, president and a founding partner of Identity, a public relations and marketing firm in Bingham Farms, said the multi-pronged approach of Pure Michigan has an upside: It allows the MEDC to use its scant resources effectively. He added that such an interconnected strategy, despite the single-brand risk, also helps the state engage companies that employ millennials, for whom the live-work-play lines are blurred. That could be important in the Flint recovery, said McEnroe, the site selector. Several people told Crain’s that one of the main messages being shared in defense of Michigan is that Flint, much like Detroit before it, is an isolated event that is not affecting other cities or regions in the state — while stressing that it does not downplay the severity of the water crisis. While at a restaurant in Atlanta a couple of weeks ago, “the waiter made a joke about the table water and referenced Flint,” Winter said. “The first thing I did was stand up and support our state and all the things we’re doing right,” Winter said. The Pure Michigan campaign this spring will release a TV commercial focusing on Detroit’s post-bankruptcy momentum. It has been described as more visually edgy than most Pure Michigan ads, including recent spots depicting Michigan’s craft beer industry and farm-to-table restaurants. State tourism promoters waited to tell Detroit’s story until after the resolution of bankruptcy. They point to highlights such as improved city services, and construction of the M-1 Rail (now called QLine) and Detroit Red Wings hockey development. “The day that we somehow look at scaling back is the day we’re going to slip back,” Lorenz said. Tourism and economic development promoters should continue to tell Michigan’s positive stories while rallying followers of official social media channels to help spread the good word, Winter said. “Social media has provided an opportunity for people to vent and to share their thoughts, but unfortunately, more times than not, it’s not balanced with the positive,” he said. “Every bad message in a marketplace is just helping create distractions for the good things we’re trying to say. I never knew that "Pure Michigan" had anything to do with attracting business development, I thought it was just a tourism thing. No doubt that the image of Michigan has taken a hit nationally over the Flint debacle, as an example I was talking to my sister who lives in Massachusetts a few days ago about various family things and she brought up out of the blue the Flint water crisis. Just watched Steve Harye Show on CBS .with the people living in flint and there elected offical up to State level. WELL sofar nothing has Moved or improved then the daily grind of water and haveing supplies... but not being to drink or shower and the suggestion of BOILING WATER ...only to find out .it does not take OUT THE LEAD, just makes it worse..MY idee is CUT the salary of each city, State and Fedreal Employee by 25% so they will WAKE up and finally Do there JOB(no more scholveing papers) ..so they feel the pain also. of them NOT doing there jobs or doing the rigth Thing ..expecialy when it KILLS or maimes!. they people in flint need to be moved to GRAND Rapids till there house Pipes are restored .. with ALl the money taken from taxpayer to goverment agency. not worth ONE penny, seams American Citizen have no Goverment to count on.rember katharina any hurricane . flood oh yes 9/11 firemen still waiting IF they are still alive.WHY why? why? From a statewide marketing strategy, maybe it's time to put the Flint situation in perspective. Perhaps I missed it, but I have yet to read a story which explains why the Flint River is so corrosive, how long it's been that way, what's being done to improve it, and most importantly, how this river's water quality is an anomaly and not the norm in Michigan. Does anyone have any knowledge about this? Hi Barry, Actually, the problem isn't with the river water. As expanded upon in this article: http://www.mlive.com/environment/index.ssf/2016/02/flint_river_is_alive_... The corrosiveness of the water is an expected attribute of river water in general (largely without regard to pollution levels). What was problematic in this case was that the state Department of Environmental Quality did not require the river water to be treated to reduce corrosiveness to be in line with that of the city's former drinking water source (Lake Huron) as it should have. As a result, Flint's pipes began breaking down as soon as the system began pumping river water as if it were chemically the same as water from Lake Huron. To your point, I agreed that a story providing a broader overview of river and lake water quality in Michigan could be illustrative and help to put what is happening in Flint into better context. General Motors and manufacturing are responsible for the toxic mess that is the Flint River. I think GM should help clean their mess up. Christine, What evidence do you have for this accusation? Get it to EPA and I'm sure they'll be all over GM! How can this issue be more ironic if the Ann Arbor area is labeled a toxic waste area , due to the dioxin plume. This situation was not addressed over many years of knowing it existed. Now a family on Jackson Road with small children have been using the dioxin tainted well water in their rented home without anyone telling them about the problem. And now the State thinks it's time to contact the Federal Government about it. And the DEQ is set to add to the pollution in the Detroit area. It seems to me that the statement "Pure Michigan" could be considered a joke by some people. dioxane not dioxin. We're trying to prevent a potential future #FlintWaterCrisis here in the Ann Arbor area by staying on top of the situation and demanding stricter standards consistent with latest EPA guidelines, better monitoring and more cleanup now. More info at www.srsw.org Changing the culture of the DEQ back to environment protection as #1 goal will require changes in the legislature and approval of whoever is governor... which may take too long. Had the powers that be used the Pure Michigan ideal as an goal to aspire to when making laws and decisions, we'd be in a better place. If the State could spend some of their environmental surplus monies on proactive clean-up efforts. The advertisement credits would attract all the companies. The reality about Michigan is that everything is connected. Long term racism, Jim Crow laws, white privilege, a state that has been run with preferential treatment of business vs. the environment has led to what we are seeing today. No amount of manipulation of the truth is going to change this. The reality now is our state has been in decline for years, and the past 4 years this decline has increased. Until people open their minds and hearts, understand even one child suffering in poverty affects us all. Detroit and Pontiac and so many other poverty stricken cities, demonstrate the hard heartedness of the leaders of this state. What is "Pure Michigan"?? First the Republicans tied "Pure Michigan" with the passage of Right to Work. Now, they have poisoned the water in Flint and "discovered" lead problems all over our state. My new suggestion is to adopt the "Impure Michigan" to attract another type of visitor or corporate invester. While Pure Michigan tries to convince 'foreigners' of the state's Arcadian quality, here's a taste of what Michigan's own people have to say: "Our largest city had a mayor who was an out-in-the-open criminal. He won re-election easily, with the endorsement of nearly every power broker and medium in the state. Our state government proudly subverts the will of the people (see, e.g., Proposal 1, emergency managers, straight-ticket voting) and uses a tactical maneuver to forever prevent them from re-asserting their will. We respond by re-electing the perpetrators. Our speaker of the house admitted to trying to fix an election. The people of his district responded, 'You da man!' and re-elected him. The members of the legislative body weighed in: 'You're our kind of leader!' and re-seated him as speaker with only two dissenting votes." The MEDC is up against it. They are appointees, or employees thereof, who will say or do anything for money, who have to effectively counter the true stories of the residents in order to be credible. A Sisyphean task, indeed. If you think Flint's disaster is an issue, just ponder the effects of Enbridge's last pipeline disaster over the Kalamazoo river and how that would pale in comparison should their "Line Five" oil pipeline under the Straits of Mackinaw follow a similar disastrous course of events!! Pure Michigan is not successful. It provides a negative financial return. It makes us all feel warm & fuzzy when we here the advertisements locally, but other than that it is not worth a major expense. Mackinac Policy just did a story on the number details. since Enbridge poisoned the Kalamazoo watershed in 2010 with a million gallon spill, the state has been on notice that old pipelines coupled with human error are an imminent potential disaster. Enbidge has stonewalled and obfuscated state requests for inspection records on line 5 where it crosses the straits. the AG and the governor's response to this red flag has been to appoint committees and boards to investigate and advise. I'm sure they pray every nite that the 63-year old pipe survives just one more day. this- kick- the- can down the road approach presents an even greater risk to the Pure Michigan image than Flint. DON'T FLINT THE STRAITS!